The past Fourth of July weekend was packed with beaches, air shows, BBQs and of course running races! The annual Beulah Firecracker 5K hosted by the Crystal Lake Community Business Association was held in downtown Beulah, MI on the morning of the 4th of July and over 200 racers started their day off on the right foot by running or walking 3.1 miles. In just 26 days, thousands of cherry-loving racers will line up for the Meijer Festival of Races put on by the National Cherry Festival. The 5K & 15K have been crowd pleasers for years as everyone feels like a winner as the runners are cheered on by those setting up for the parade down Front Street directly after the race. This year, the return of the 10K and inaugural half marathon have joined the race line-up which is sure to attract runners interested in long distances! Race maps have been posted for the 5K, 10K, & 15K and a short video teaser has been published for the half marathon. The half marathon course appears to be going through some private property on old mission and the scenary looks AMAZING! The annual Bayshore Marathon took place on Saturday. The weather was great and thousands of racers competed in a 10K, half marathon and marathon through the rolling hills of the Old Mission Peninsula. We'd like to take this opportunity to thank the Bayshore Marathon for working with us again this year and to everyone who registered online using our registration system. Go all rock! That being said, here are the results from the races http://rftiming.racetecresults.com/results.aspx?CId=16365&RId=99. If you are interested in upcoming races in Traverse City and the surrounding areas, please visit https://events.bytepro.net. Traverse City West hosted the first ever Homeward Bound 5K on Sunday, May 18th to benefit Pete's Place, a homeless shelter for teens in Northern Michigan. The event was a great success with over 170 races registering online alone. It was a pleasure working with multiple students to get the online registration page set-up and helping the cause by providing low-cost services. 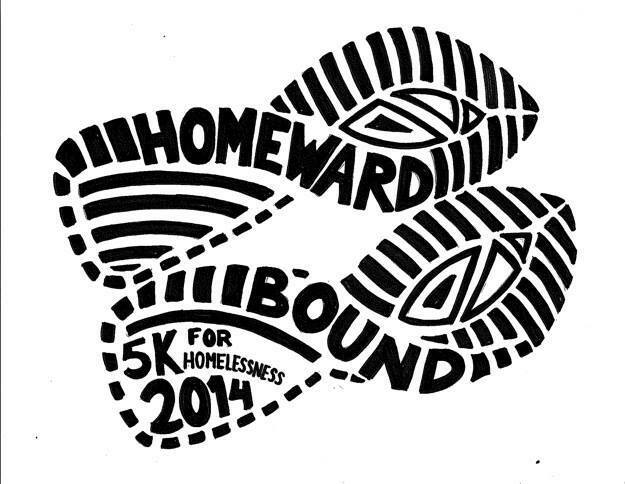 Here are the results from the Homeward Bound 5K Run/Walk. Last Saturday was the Run the Ridge 10K Relay race at Timber Ridge in Traverse City. This event allowed runners to partner up and "pass the baton" at the 5K mark and run through the winding trails of the Pere Marquette State Forest. Here are the results and photos of this wonderful Spring race. The 2014 Mud Sweat & Beers Fat Tire Fest was a cold one this year with temperatures in the 30s and 40s. There was a great turnout and byteEvents very own, Tim Barrons competed. We are now at Part II of recent byteEvent updates. If you missed Part I, you may want to visit the page before or after reading these updates. Event Administrators now have the ability to customize the content in the email receipt and online "thank you for registering page". This is perfect for letting customers know what to bring, where to go or even a space to promote another upcoming event! You will find this text area once you log-in as the event administrator and "Go to..." > Event Details. As byteEvents enters its fourth year since inception in 2010, we have grown drastically hosting online registration for over 60 Michigan-based events. As we grow, we add more and more feature requests from our users and staff. Here is Part I of this two part update series. The customer now has control over making registrants viewable to the public. Oftentimes there are events where registration needs to be more private (especially if those under 18 are being registered). We've made this feature editable in the admin tools. Simply go to... > Event Details > Hide Registrants. Athena Grand Traverse is a new byteEvents client this year and our staff is super geeked! Not only is the event itself AMAZING, we also get the opportunity to work with Events North who puts the event together each year. Athena Grand Traverse had worked with other registration companies in the past and their needs just weren't being met, so we had the perfect solution, byteEvents of course! We built a secure registration page for the event with special features like the ability to purchase a single seat or entire table in one transaction. This is a great example of how byteEvents Online Registration System can work for all kinds of events, we aren't limited to only sporting events. Check out the Athena Grand Traverse registration page. Leapin' Leprechaun 5K: Last Chance to Register Online! The Traverse City Leapin' Leprechaun 5K held in The Warehouse distict this Saturday, March 15th, will close online registration tomorrow, Thursday, March 13th at 5:00 pm. If you are looking for a great way to spend a Saturday morning, please register for this amazing event!